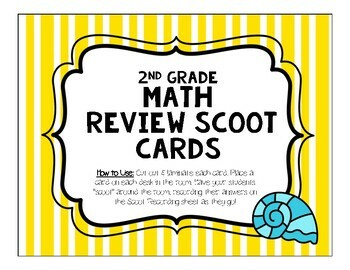 This fun scoot reviews Math Concepts from the 2nd Grade CORE Curriculum! This is great for end-of-year and testing review! A class set of 30 cards PLUS Recording Sheet is included!